Have you ever dreamed of being able to grab hold of the Hubble Space Telescope and point it anywhere you want? Well, you probably can’t. But what you can do is still very cool: the folks at the Space Telescope Science Institute are letting people vote on six objects for Hubble to observe! The blurred part is how the voting for each object is going, and that’ll change as word gets out. I won’t tell you what I think they should observe, so as not to skew the results. Feel free to discuss what you voted for and why in the comments below. This is being done as part of the International Year of Astronomy’s 100 Hours of Observing project, and the images will be released between April 3 and 5. That’s a pretty fast turnaround time for Hubble. They must have already coded up the commands to observe each of thee six objects, and they’ll upload them to Hubble as soon as the votes are tallied. Either that, or they’re cheating and have already picked the one they like best. 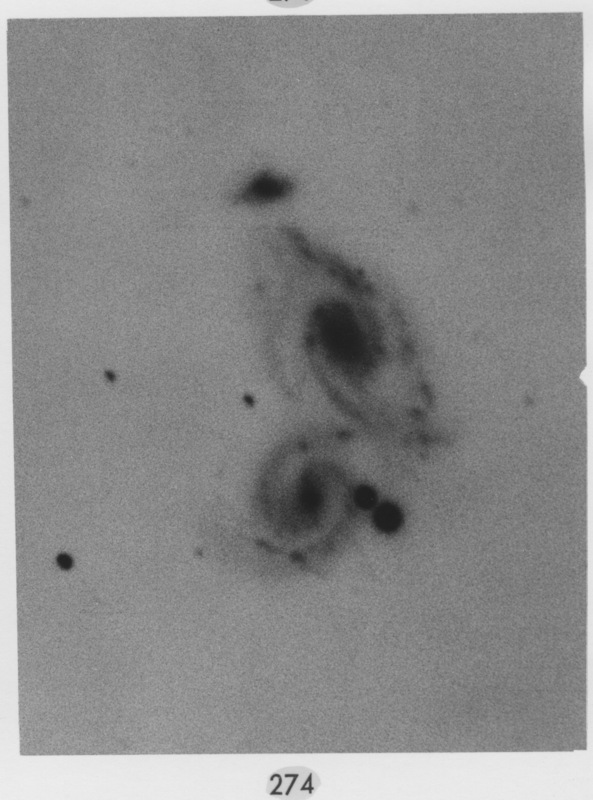 Sneaky astronomers. Once you vote, you can enter a contest to receive one of 100 pictures of the winning object. 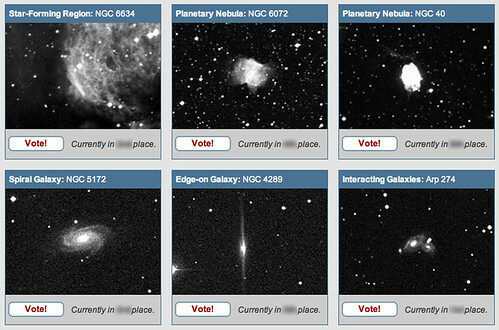 Voting closes on March 1, so get in there and point Hubble!